This time of the year we are all excited about the Holidays and are looking forward to having a safe time. However, multiple Grinch's have been sighted prowling around during the day in back alleys or prowling at night in places they shouldn't be. We want everyone to keep an extra eye open during this holiday season (and the other 11 months during the rest of the year) to keep ourselves and our neighborhood safe. It is important to call 911 if you see ANYTHING suspicious! You can also join the Union Square Crime Alert Group. The group is a way for Union Square residents to share information about crime, break-ins or suspicious behavior to other neighbors. To join, send an email to: crimealertsunionsquare@gmail.com. This information remains confidential. 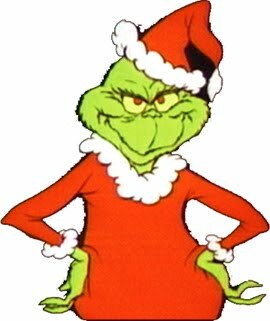 Don't let a Grinch ruin your Christmas.